Ahoy Mattes!! 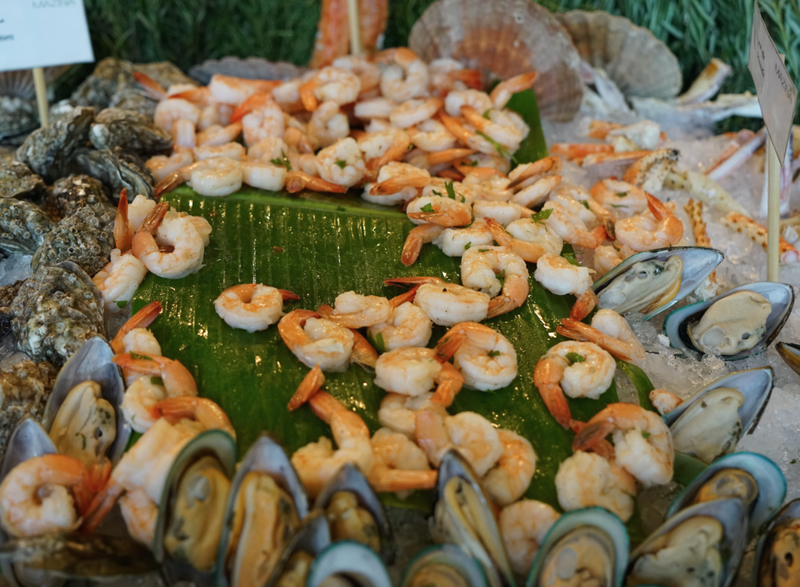 We recently head out to the Pirates and Mermaids brunch at Mazina in Address Marina to sail the ships and to spot an oceans daughter. Ambiance -You can't get child friendlier than a brunch that offers entertainment with Magic Phil, not to forget bouncy castle, face painting and party treats. 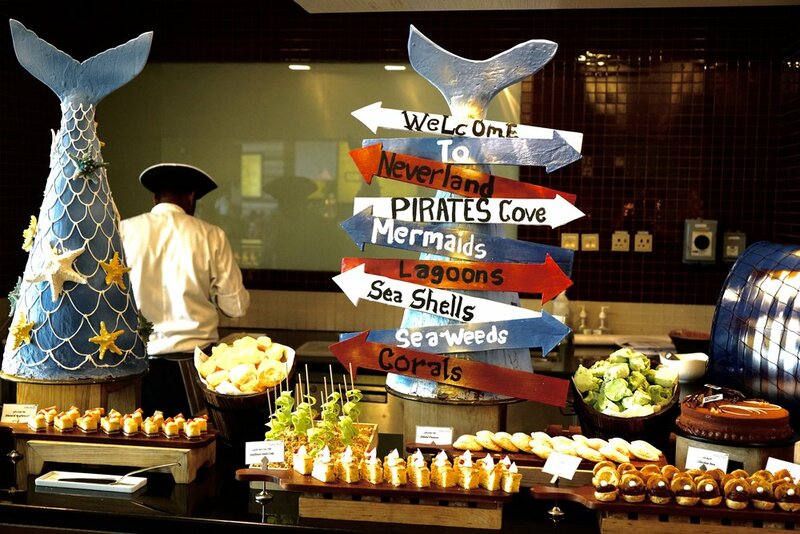 With prizes for the best-dressed pirate or mermaid, there is entertaining activities and fun for everyone. As one who is out every weekend reviewing brunches and lunches, let me be honest, its not a done deal to tag kids along to the many sophisticated brunch spaces in town . But this one's got me doing the happy dance with my kids, yes literally I did dance in this venue or rather Magic Phil got me on to the dance floor. Food / Service - Finally! I also got to sit back and enjoy the delicious food and drinks while my kids enjoyed the show and bounced along. The brunch is a feat for the eyes with seemingly limitless global food options (Im talking Roasts, suckling pork, dim-sums, pastas, tikka, sushi, French desserts - its a huge variety). For those who enjoy fine taste, oysters, lobsters and cocktails a-plenty are available. A separate kids buffet corner had snack and sweet treats. The major kids selling point is the gummy station, yum! Service is attentive and staff happy to oblige with everything. Crowd / Dress code - For adults this space can be enjoyable and entertaining minus it's not alfresco nor dressy. Kids are welcome to come dressed to match the theme. The space is brimming with families, especially lil tots.